You may call it a Holiday, a Vacation or a Getaway but it's valuable time spent to explore, relax and experience an exotic destination. A person trusting me with their time is very important to me and I strive daily to deliver the best service and to give an unique and special experience to all my clients. 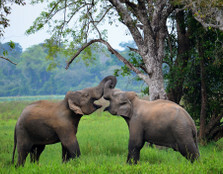 Sri Lanka as a destination has plenty to offer from culture to wildlife to hills and beautiful beaches. I have travelled to every nook and cranny of our stunning country, so you can be assured that I will only recommend what I have experienced myself. Let me help you plan that perfect holiday! It's hard to pick one as every destination has it's charm. If I narrow it down it would be; Myanmar, Bali, Vietnam and of course Sri Lanka! Samadi was always friendly and accommodating. When we requested a different driver/guide, she responded immediately. Samadi did a great job for us. She was always accessible and responded very quickly to any correspondence. Samadi sorted out a few problems (of our own causing) very well for us. Our accommodation was excellent and our driver was a wonderfully knowledgeable guide and got us back safely. Samadi, our “agent”, always replied quickly and in a helpful and friendly manner. 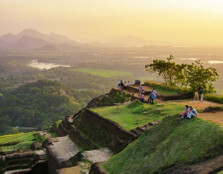 Our trip thru Sri Lanka with their driver/guide was amazing. Samadi was very professional and catered to our specific needs. We had an amazing trip which exceeded our expectations in every way. 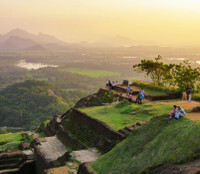 We experienced the great cultural and physical diversity of Sri Lanka, from its gorgeous beaches to mountain top vistas!! Everything went as expected and Samadi was really helpful with a great service mind. She could understand what we wanted and came with good proposals which were very helpful and felt safe. Our travel agent Samadi was very knowledgeable and helpful and created a perfect holiday for us. The trip was very enjoyable and everything went as planned. Both our guide and Samadi were also ready to make changes according to our wishes during the trip. 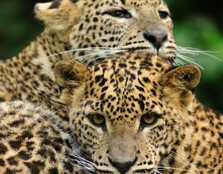 I am ready to make an other trip via Tripme portal and try other travel agents on the Tripme portal. Samadi's services were terrific. It was as though she knew us and our tastes very well. 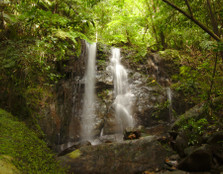 We really enjoyed the personalized service, and the ability to make changes to our itinerary on the fly. Samadi and her team give a great travel experience. All are very professional. The guides, the people in the office, the tours. Everything was perfect and the price/value for her service is amazing! 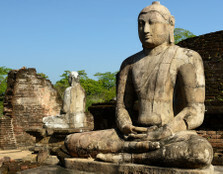 I highly recommend Samadi and her company if you want to travel to Sri Lanka. Samadi was great! She planned our itinerary very quickly and made sure we had a great trip! Still in Sri Lanka. On second part of my trip. Part A with trip me was outstanding! Samandi andn driver Milton did a fantastic job. To busy looking for snakes and birds to write more now. A job well done. 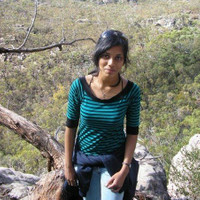 From the first email from Samadi, I found her to be very helpfull and knowledgeable about the sights in Sri Lanka. She was happy to work with our requests and made suggestions to make our trip flow. All of the hotels and meals suggested by Samadi were lovely. Emailing me with reminders and it was never a problem to answer any questions i had even if it was to reassure me. She made contact with us at the beginning and at the end of our journey just to make sure we were happy with everything. I highly recemmend our driver Mr Hermal, he just made our trip a delight, nothing was to much trouble. Samadi, Mr Hermal and the hole office were instrumental in the return of my bag, as it was lost in flight. Just a wonderful team. Shelley, Max amd myself Thank you. Samadi was simply excellent. She worked hard to accommodate my preferences and changes I made for my nine day trip. Then she worked with me to overcome some issue with the payment portal. But Samadi did not stop when she had booked us. She greeted us at the airport and then made follow up calls while on our trip. The service was exceptional. Thank you so much Samadi. I will also add here that the driver/guide Samadi provided us - Janaka - was equally outstanding. He was highly knowledgeable and went above and beyond to make our trip the very best he could. I can't recommend my two new friends highly enough!! !